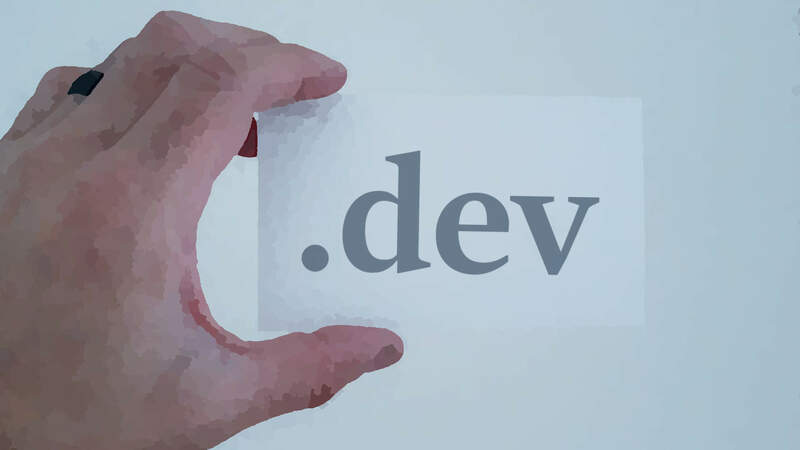 The new generic Top-Level Domain (gTLD), .Dev, is a domain extension for those who want a developer- or technology-related domain name. Google owns the .Dev gTLD, and domain names can be registered with that extension on Google Domains and at other domain registrars. New domain name extensions go through three launch phases: Sunrise, Landrush, and the General Availability period. I will not go into the details about these three periods, but I will give a summary. Sunrise is a window of time in which only trademark owners can register their domain names with the new extension, while Landrush is an open phase in which anyone can register a domain name with the new extension, at a premium cost. Registries are not required to have a Landrush period; it is an optional launch phase. In addition, domains can be sold at auction during Landrush, or according to a fee schedule. General Availability is the final period where domain names can be registered by anyone, at a much lower cost (although domain registrars often sell names that are considered “premium” at significantly higher prices). Most people are familiar with the General Availability period. If you bought a domain name from a registrar for under $20, it was probably during the General Availability phase. Google’s .Dev domains were expensive during the Landrush phase. Indeed, Google Domains had a nine-day “Early Access Program” (EAP) where .Dev domains had an early access cost of $11,500, on the first day; $3,500, on the second day; and $1,150, on the third day. On days 4-6, the domains cost $350, and on days 7-9, the .Dev domains cost $125. However, today, Google’s .Dev extension reached the General Availability period. Consequently, registration of a .Dev domain name is dramatically lower for regular (non-premium) .Dev domain (eg., $12.00 at Google Domains). Interested in a .Dev domain?